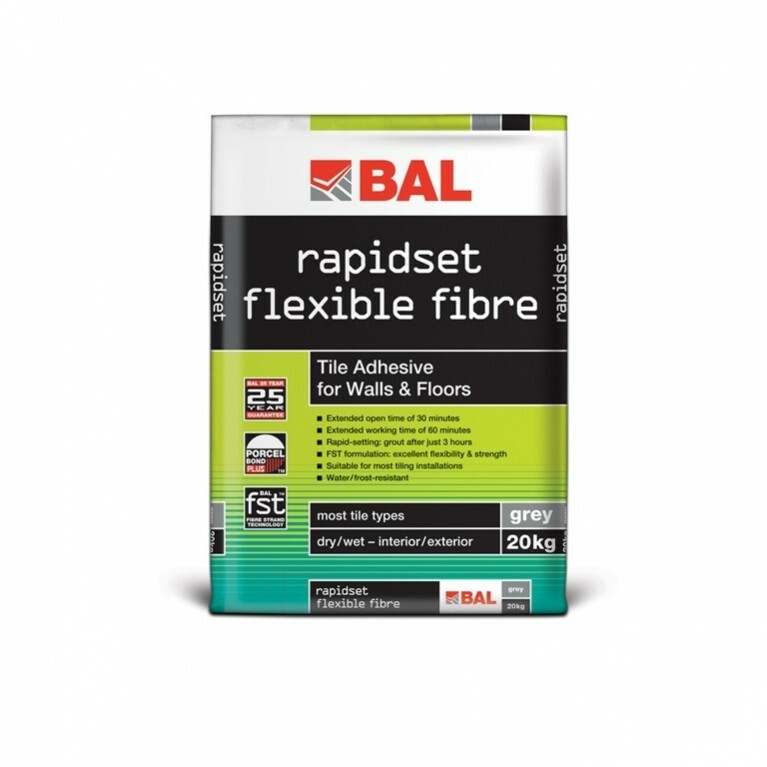 For use on walls and floors, BAL Superflex Wide Joint is perfect for grouting porcelain, glazed and fully vitrified tiles, glass and ceramic mosaics, marble and natural stone in dry or wet interior and exterior environments. 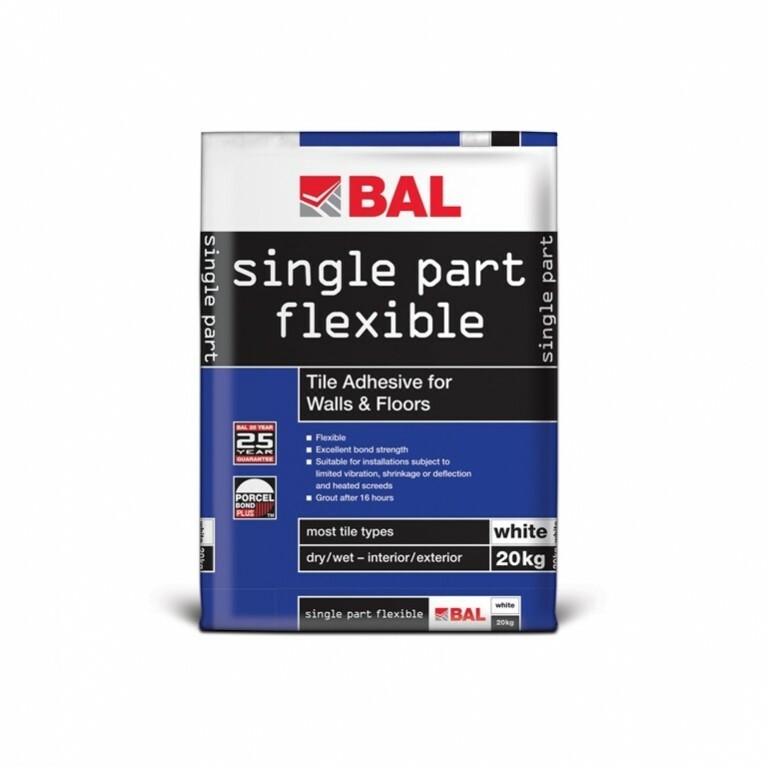 BAL Superflex Wide Joint is perfect to use for joints up to 3mm to 20mm and is recommended for swimming pools and for limited movement areas including overlaid plywood floors (minimum 15mm) and heated screeds. 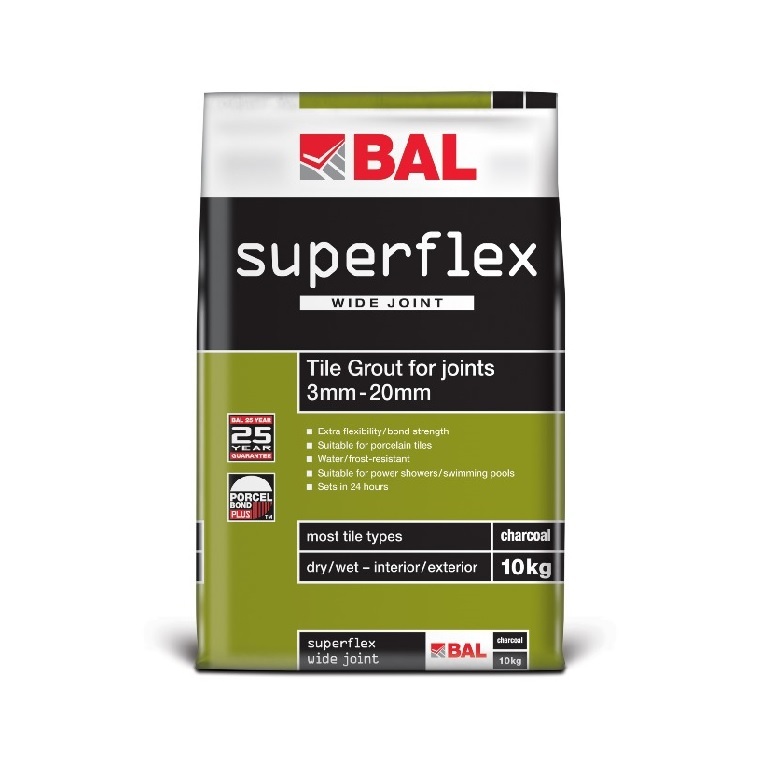 For customers looking for a flexible grout for use on super-wide joints, then BAL Superflex Wide Joint should be the first in mind. 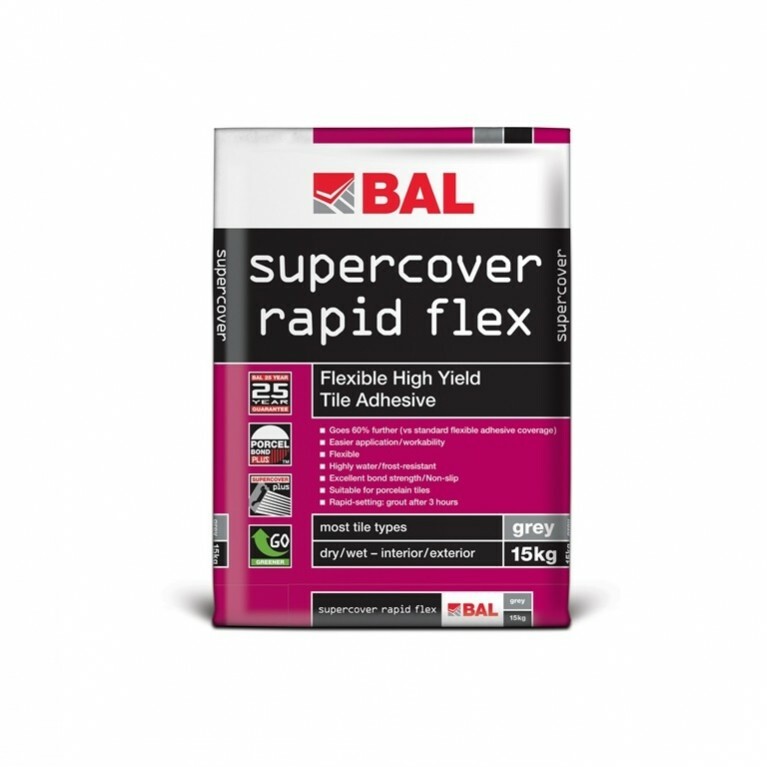 Perfect for commercial or domestic installations, BAL Superflex Wide Joint has a pot life of 30 minutes and cures in 24 hours. Available in pack sizes of 10kg and 3.5kg, it comes in six handy colours white, ivory, grey, charcoal, limestone and sandstone. Typical coverage of 2.24m² per kg can be achieved with a 3mm joint width with 200x200x9mm tiles.